… but it also has the ability to be extremely disruptive. Put your trust in our snow removal team to ensure your daily routine is not interrupted by inclement weather. We have the equipment, facilities, and qualified operators that make us the company you can count on for your driveway snowplowing needs. What is the Tender Lawn Care difference? …we care about your property, too. As a lawn care company, we do our best not only to provide exceptional snow removal services, we also strive to protect your lawn and landscape throughout the winter months. Before the season begins, we stake your driveway and create a snow removal plan that will allow us to safely and efficiently service your property. We assign the same route to our drivers for the entire season, which helps keep damage at a minimum. We give our drivers reasonable route sizes, which allows them to focus on delivering the highest quality of work. At the end of the season, we return to remove our stakes and check your property for any damage. If we find damage, we are proactive and take the steps necessary to repair your lawn. We’re seasoned snow removal professionals with decades of experience. Tender Lawn Care has been providing snow removal services to clients since 1949. Our office is full-staffed and available to answer any questions throughout the season. Tender Lawn Care employs a dynamic team of office personnel who are skilled at effectively managing communications during inclement weather. Our operators are qualified, trained professionals committed to delivering our high standards of qualify and safety. The drivers at Tender Lawn Care: possess and maintain a valid Michigan Class A or Class B drivers license; have successfully passed a background check; participate in ongoing safety and best practices training; and operate in compliance with our alcohol/drug/tobacco-free policies. 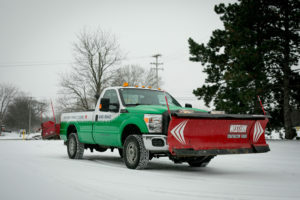 Visit our Resource Center to learn more about our Snowplowing Services.